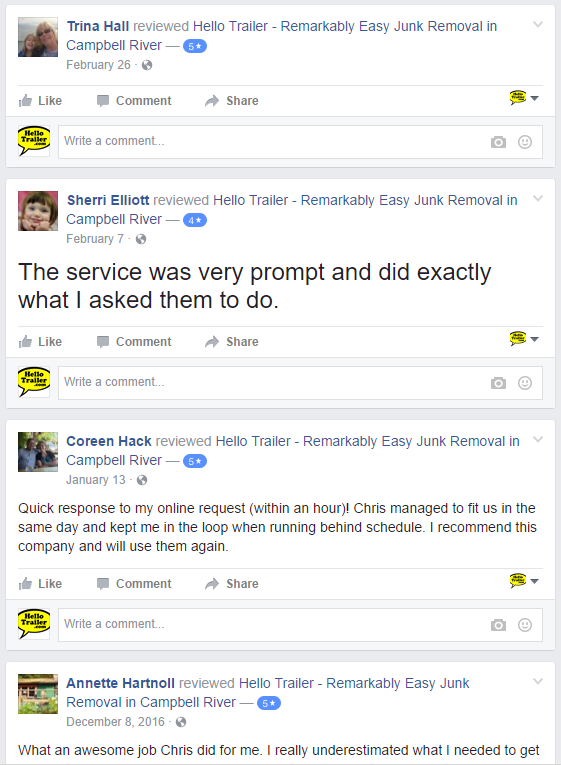 Serving Campbell River and Courtenay we have the best bin rental prices. Only $129 and includes drop-off and pickup. We'll beat any local competitor's prices by 10%! 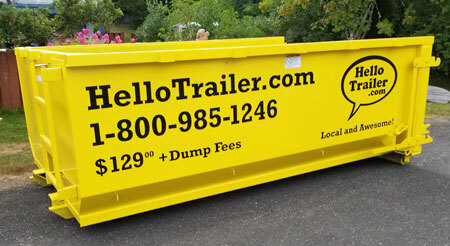 Our bin rental rates are the best rates because loads are based on the actual weight and we recycle as much as we can so you save hundreds of dollars at the landfill. We are local in Campbell River, hence we have less travel time and fuel costs. If you find a better local rate we will beat it by 10%! Other bin rental companies sell based on volume. So, if you only use 1/2 a bin they will charge you for a full bin. And they will charge maximum rates. Fair billing. Other bin rental companies do not sort recyclable waste. They dump and go. It's expensive as you pay over $300/tonne. Hello Trailer recycle = lower dump fee. Don't you hate it when people are late and give poor service? We value your time and give you an unbeatable 5-star service. Call us and discover the difference. 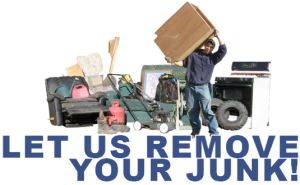 Simply point to the junk you want gone and we'll do all the heavy lifting, removal and recycling.